A-G Mandelblit halts promotion of chief rabbis' relatives after management of the rabbinical court fails to meet Justice Ministry's demands. Attorney General Avichai Mandelblit delayed the appointment of relatives of Ashkenazic Chief Rabbi David Lau and Sephardic Chief Rabbi Yitzhak Yosef, Yediot Aharonot reported. Rabbi Mordechai Ralbagm, a brother-in-law of Rabbi Lau's, was set to be appointed head of Jerusalem's rabbinical court. Rabbi Mordechai Toledano, a brother-in-law of Rabbi Yosef's, was set to be appointed a member of Jerusalem's rabbinical court. According to Yediot Aharonot, the person responsible for deciding which rabbinic judges are promoted is the chief rabbi serving at a given time as the head of rabbinical courts. However, due to the family ties, a committee of three rabbis, all appointed by the head of the rabbinical courts, was set up to decide on the appointments. Yediot Aharonot noted that Mandelblit requested the committee be formed of retired rabbinical judges, but that the Chief Rabbinate ignored his request, claiming that none of the retired rabbinical judges could serve on the committee. This, the newspaper said, caused the committee to become "no more than a rubber stamp" and lead to Mandelblit's decision to freeze the candidates' appointment. The rabbinical court responded that the issue is "being clarified in the Ministry of Justice." 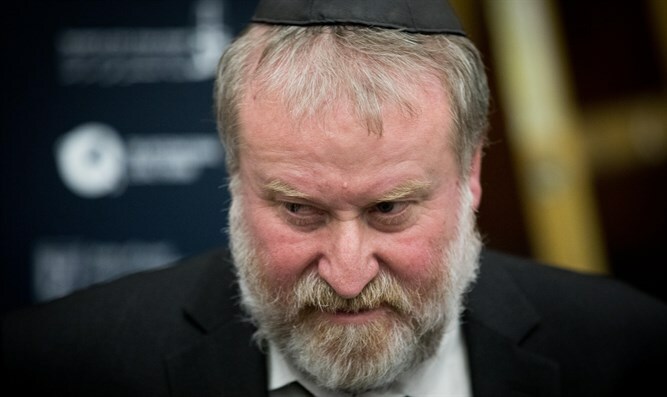 The Ministry of Justice said that "several months ago, the Attorney General requested that....the candidacy of those related to one of the chief rabbis be examined by a committee of retired rabbinic judges. The management of the rabbinical courts said that they did not succeed in appointing relevant retired judges, and the committee was therefore made up of practicing judges." "Complaints were received about the committees' makeup, and these were transferred to the management of the rabbinical courts. At the same time, the management was asked not to appoint the candidates until the matter has been clarified."